Virunga Volcanoes is one of the few tropical rainforests in Africa protecting the rare and endangered mountain gorillas. Gorilla Tours to Congo take you to the Virunga National park. Virunga National Park is part of the 434 sq km that make up the the Virunga Gorilla Conservation Area that includes Uganda, Rwanda. 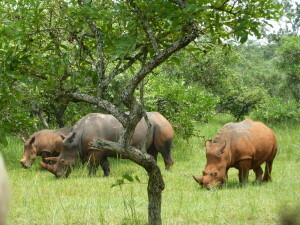 Virunga National Park is an important resource for the people of Congo. 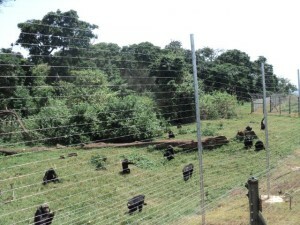 This only gorilla park in Congo stretches along the borders of Rwanda and Uganda. Virunga National Park covers an area of 790,000 ha. The park comprises of an outstanding diversity of habitats, ranging from swamps and steppes to the snowfields of Ruwenzori at an altitude of over 5,000 m, and from lava plains to the savannahs on the slopes of volcanoes. Other tourist attractions in the park include 1,000 hippopotamuses live in the rivers and birds from Siberia spend the winter there. 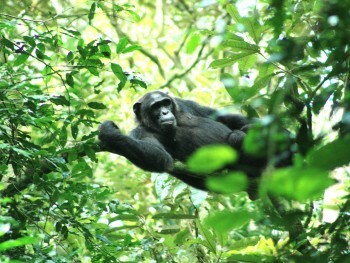 Deep in the forests, the primates live in family groups that are very protective of their home ranges. Each group usually consists of a dominant male called the silver back gorilla, with several females and their young, and some non-adult males. To watch them in their natural habitat is certainly one of the most inspiring experiences that you can take while on your tour within Africa.